Preservation Greensboro will hold a fund-raising event this Sunday afternoon at 919 Spring Garden Street, the Carrie and Charles Angle House. The house was vacant for a few years after a major fire in 2011. Once threatened with demolition, the house has enjoyed a complete restoration as a single-family home. 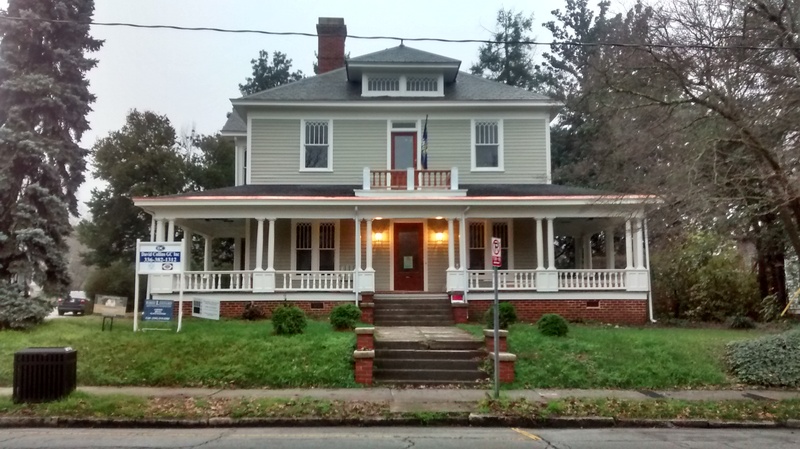 The house was saved through a joint effort by Preservation Greensboro and the Preservation Greensboro Development Fund, the College Hill Neighborhood Association and the City of Greensboro. Come explore this remarkable transformation. As a special fundraiser for Preservation Greensboro, homeowners Rick and Susan Stone are hosting PGI supporters and friends on Sunday from 2 p.m. to 5 p.m. For a donation to PGI ($20 for members, $25 for non-members), come and see how this once-vacant house has been dramatically transformed into a charming home. RSVP to Judi Kastner, 336-272-5003 or click here for email. This entry was posted in Events, Historic Preservation, Spring Garden Street. Bookmark the permalink.